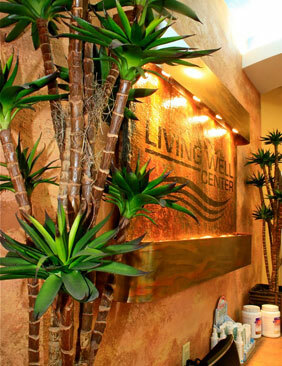 Seland Chiropractic Living Well Center provides excellence in Natural Health Care with a family friendly atmosphere. It was established in 1995 by chiropractor in Fishers, Dr. Trond G. Seland to provide state-of-the-art treatment for neck and back pain. In 2008 we doubled the size of our office space to incorporate ancillary services to further benefit our patients. These services include 2 HydroMassage Suites, Nutritional and Weight Loss Coaching, and expanded diagnostic testing. We treat our patients like family by building ongoing relationships with them. Our mission is to provide hope, healing, and optimal health to our community. We hold this mission with a sanctity. (highest standards) We often see patients who have tried everything with limited relief from their pain. We offer answers, hope, and a plan to target the root cause of their problems. Our Vision is to provide Chiropractic Care for our community in a way that not only Heals people, but also Inspires People! We provide Excellence is both Chiropractic Care and Patient Education. Combined with a strong Faith-Based Family Culture, at Seland Chiropractic we “Expect a Miracle!” for every patient we are blessed to work with. Our chiropractors in Fishers have helped thousands of people experience relief from conditions like headaches, migraines, back pain, colic, chronic pain, sciatica, numbness/tingling, scoliosis, neck pain, shoulder pain, whiplash, fibromyalgia, herniated and degenerated discs. We offer relief for women experiencing discomfort during pregnancy and often see women until delivery. By keeping the nerve flow without interruption and the spine in alignment, women experience smoother and quicker deliveries with regular chiropractic care. 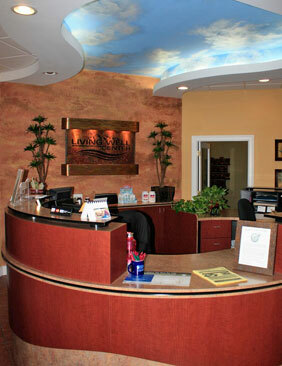 Our warm and friendly environment will help you feel better the moment you enter our office. Muscle responses, and the body’s capability to handle environmental stresses. We are completely computerized for the most effective note taking and x-ray processing/use. Seland Chiropractic remains at the forefront of Chiropractic technology and education. We continually strive to bring the latest technology and services to our patients to further benefit their treatment plans. We are a multi-doctor practice so patients get the benefit of having multiple doctors assessing and treating them. Our staff is highly educated and devoted to our patients. We place a high value on staff education and training investing time and money in national seminars, weekly team training, and continuing education opportunities. Fishers IN Chiropractors are also considered leaders among peers with staff that have worked with us for over 12 years. This allows us to train other chiropractic clinics and staff and further our philosophy of chiropractic care. We all have a calling to work together and to make a difference in this world by providing excellent, compassionate care for every person that walks in our office. We listen. We educate our patients. An educated patient is better empowered to make healthy lifestyle decisions and better able to enjoy life. We are all passionate about chiropractic care and serving people. If you have been inspired by what you have read here, call Seland Chiropractic Living Well Center today to speak with a Fishers IN chiropractor in our office! We look forward to working with you on your journey to health and wellness.